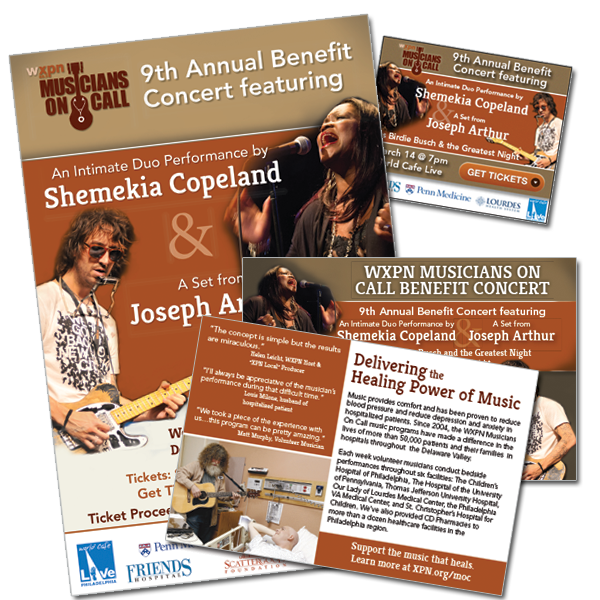 Every year WXPN does a benefit call Musicians On Call. This year I help them out by creating all the collateral from a postcard, to a poster and web ads. Such a fun project!